VMRO-DPMNE leader Hristijan Mickoski met with representatives from the Union of retirees to discuss the new law which is expected to lead to retirement cuts, as well as the scandal with unpaid contributions developing in the PIOM retirement fund. In the past, and in the future, VMRO-DPMNE will ensure that retirees have the good quality of life which they deserve. 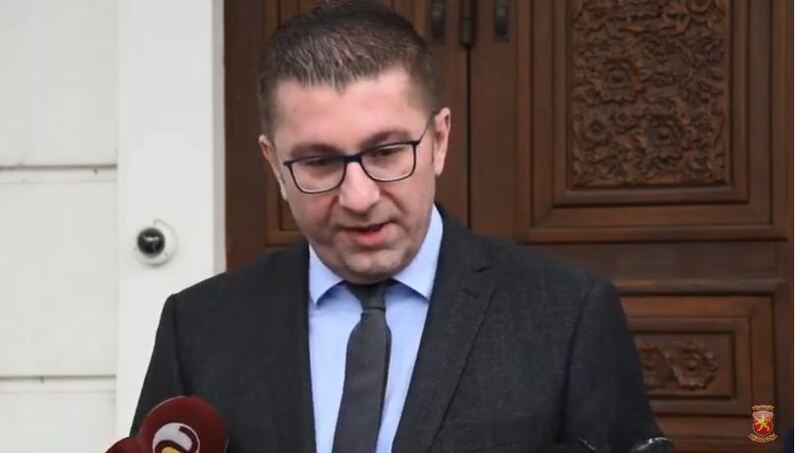 They have contributed a lot for the Republic of Macedonia and they don’t deserve to be humiliated in the way SDSM and the Zoran Zaev Government treat them lately, Mickoski said. According to Mickoski, the new law will lead to cuts of about 10 EUR from the monthly retirement incomes and he said that the largest opposition party will work to reverse these cuts. The law will no longer automatically adjust retirement incomes to the increase in the average wage and this is expected to affect 300.000 retirees.